Capricorn Books was a division of G.P. Putnam’s Sons, the first title available on March 1, 1958. While mostly a series of paperback reprints, some titles were available in hardcover. The series was primarily aimed at the college text market. The hardcover versions may have been an attempt to compete with other hardcover series (such as the Modern Library), while also offering cheaper paperback versions. 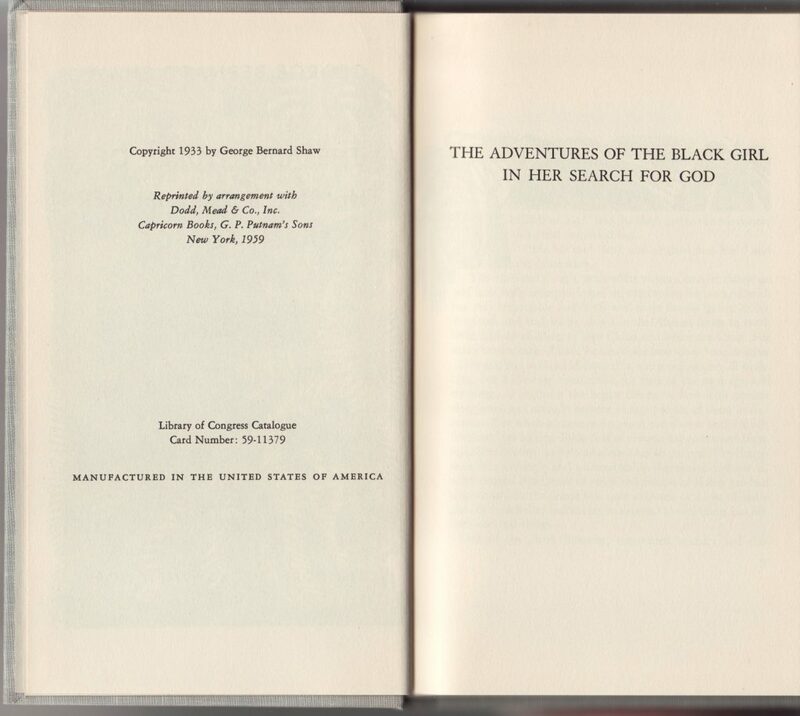 While hardcover Capricorn Books continued well into the 1990s, the commonly designed books ended around 1960, two years after Capricorn Books were first issued. 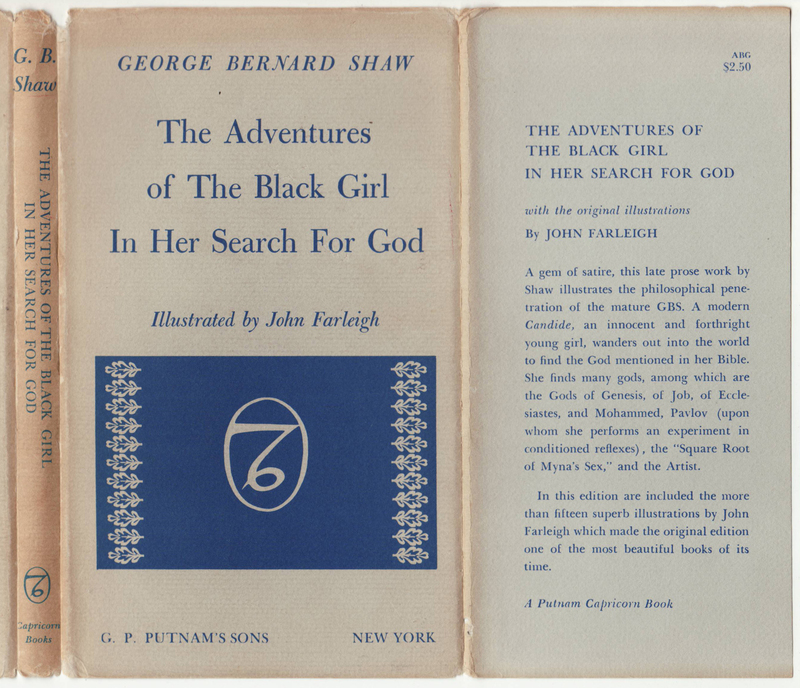 This 1959 first printing of Shaw’s The Adventures of the Black Girl in her Search for God is illustrated by John Farleigh. It is listed as #12 in the series. 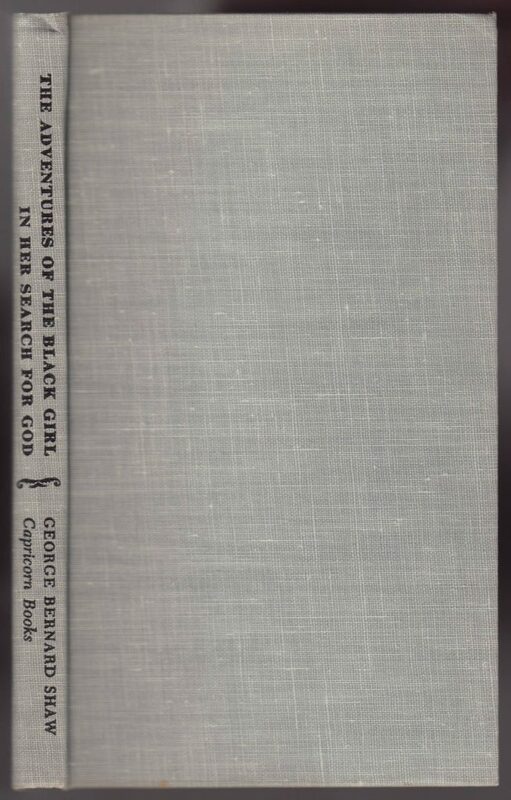 The imprint/series name is on the book spine and front jacket flap. A colophon for the series is on the front of the jacket. 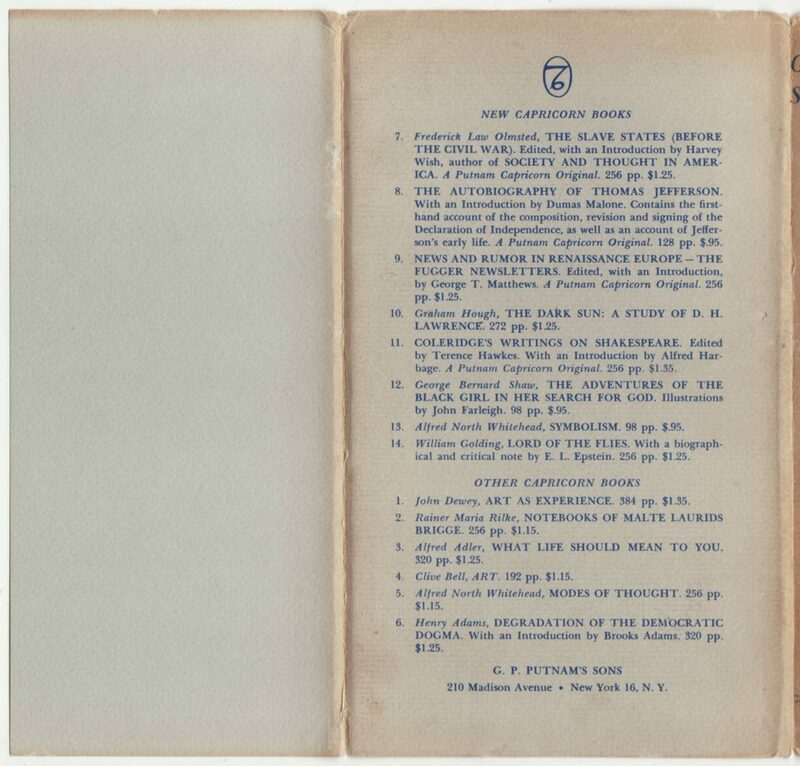 The front jacket flap includes the price ($2.50) and a description of the book. The back of the jacket lists titles up through #14, Golding’s Lord of the Flies. 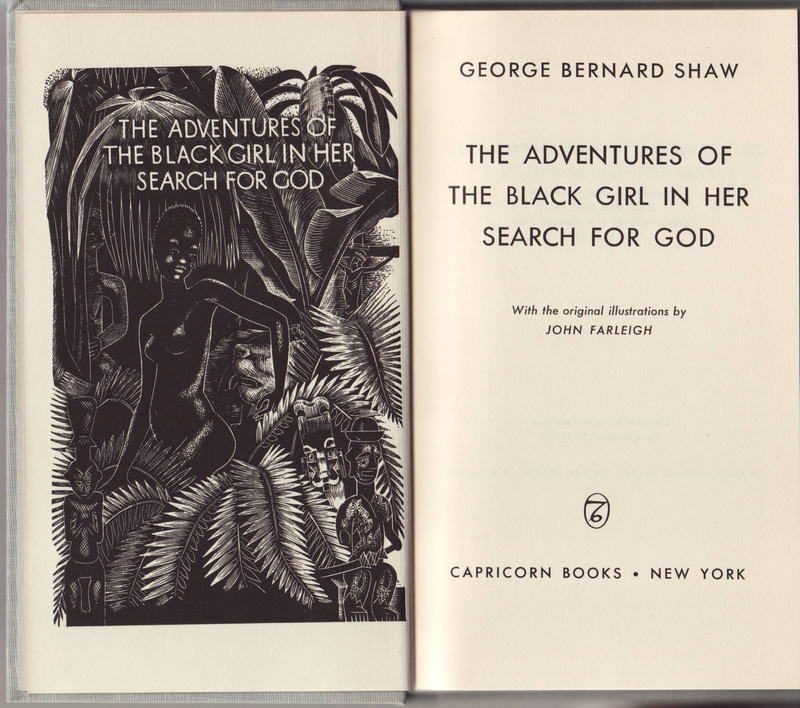 Most of these books, at least through this Shaw title, were issued in the common jacket. After that, unique jacket designs seem to have been introduced. The title page faces a frontispiece reproduced from one of the illustrations in the book. 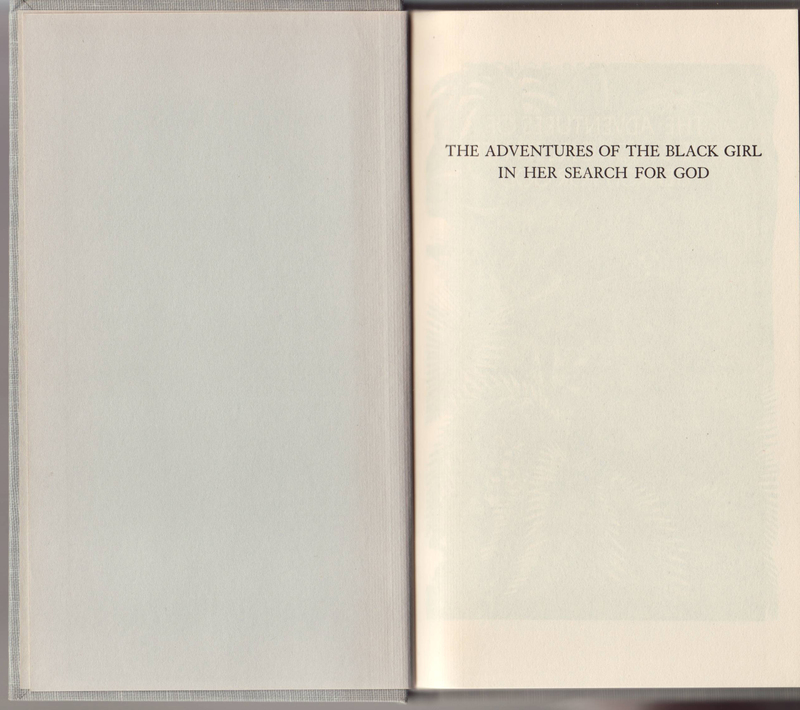 The copyright page includes the original date of publication (1935), copyright arrangement with Dodd, Mead & Co., and the print date of this particular edition (1959). A Library of Congress catalog number is included, as well as a statement of manufacture in the U.S.